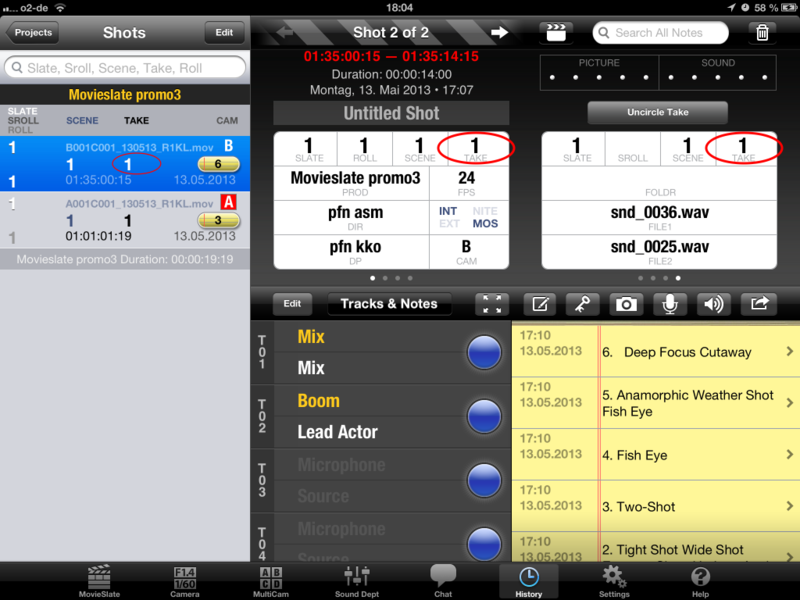 Sync the timecode of MovieSlate with your camera. The timecode sync doesn’t have to be frame exact, but too much deviation may lead to mismatched clips. 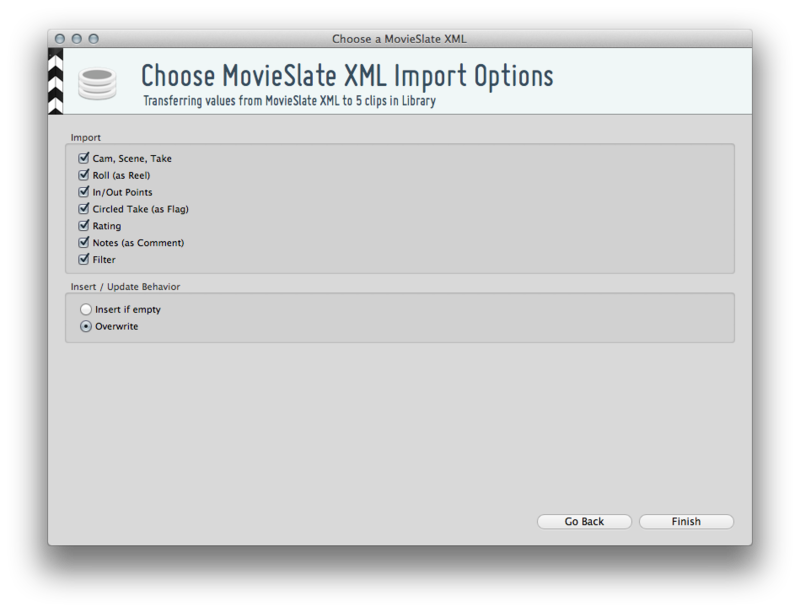 Switch to Silverstack and choose “MovieSlate XML” from the Import button on the top and choose your MovieSlate XML. 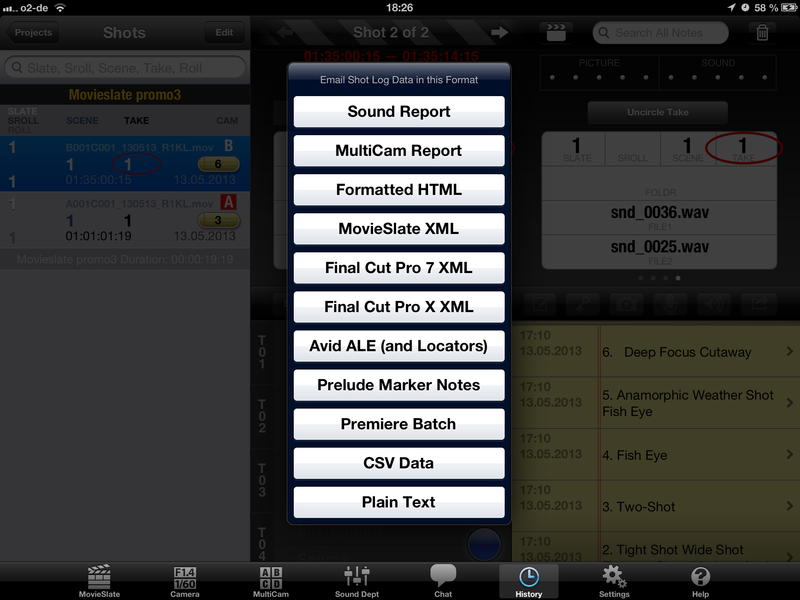 Choose the checkbox to match the Assets via Timecode . 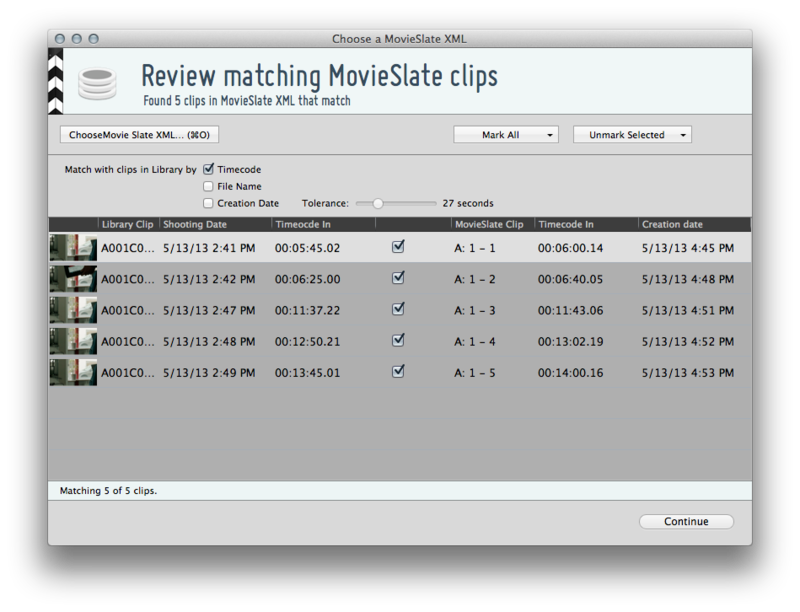 Silverstack shows the matched MovieSlate clips next to your assets (see figure 2). You may choose which assets you want to match. Choose your meta data like in figure 2 that you want to sync with the the Assets. Choose if you want overwrite the metadata or if you want to complete metadata fields that are empty. Choose the checkbox to match the Assets via Creation Date . 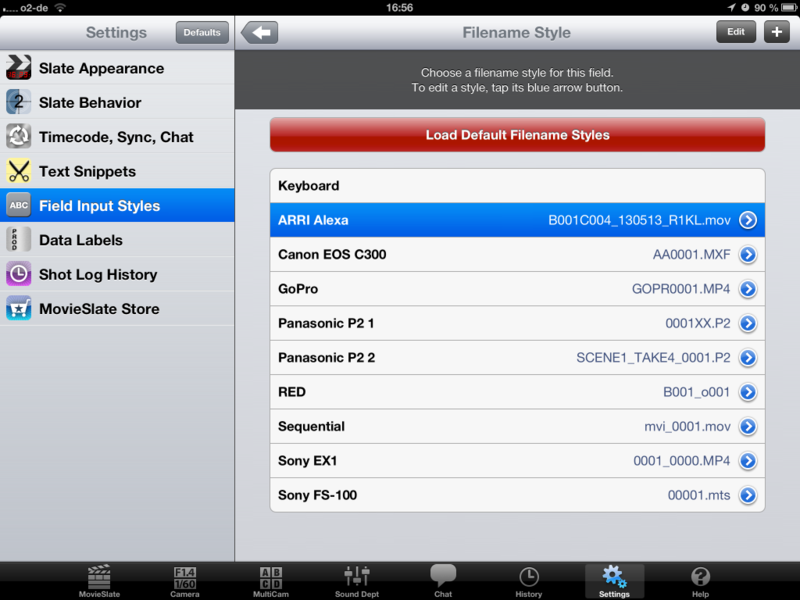 Make sure the settings of MovieSlate Field Input Styles (figure 4.) match those of your camera. 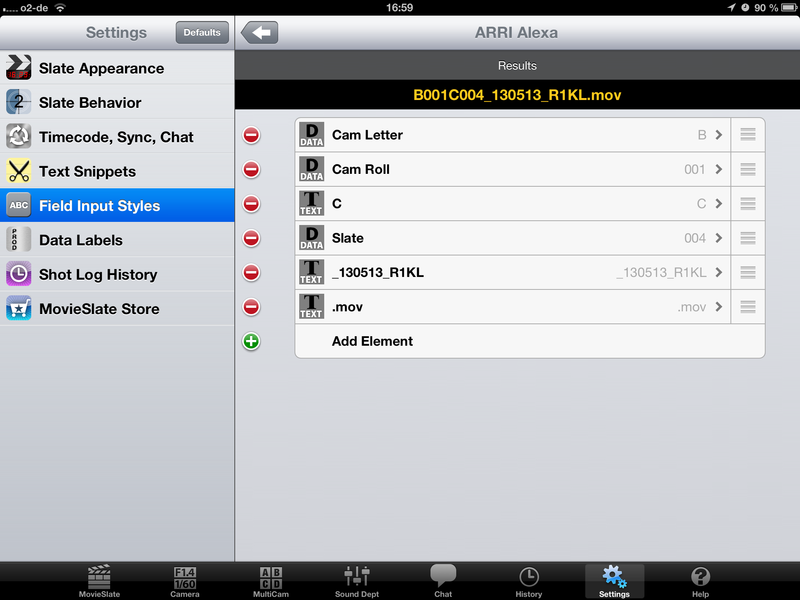 We used in our case the Alexa XT and modified it proper like in figure 4 and figure 5. 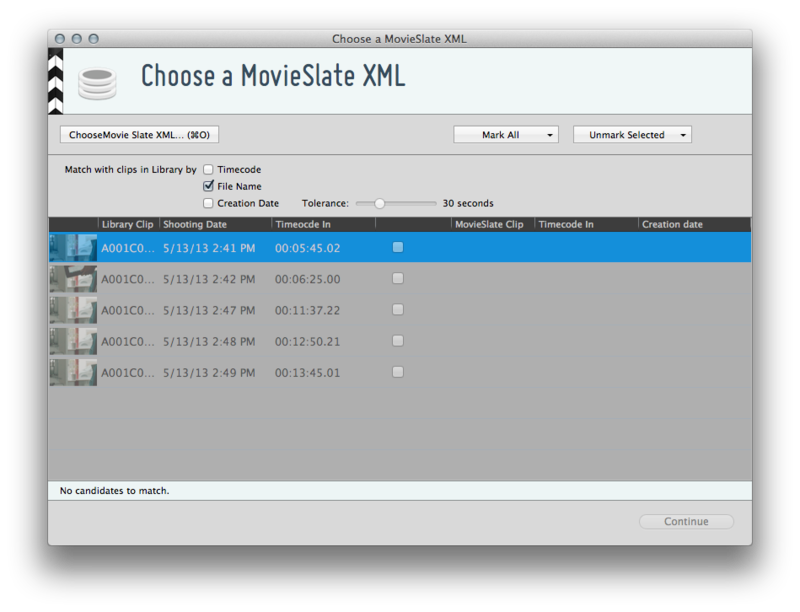 Forward your XML files from the History Tab of your MovieSlate App (see figure 6.) to yourself via Email. Select the sent Movie Slate XML via email like figure 6 and figure 7. Set the “File Name” checkbox to match the assets via file name. Choose the meta data fields that you want to write to the the Assets (like in figure 3). 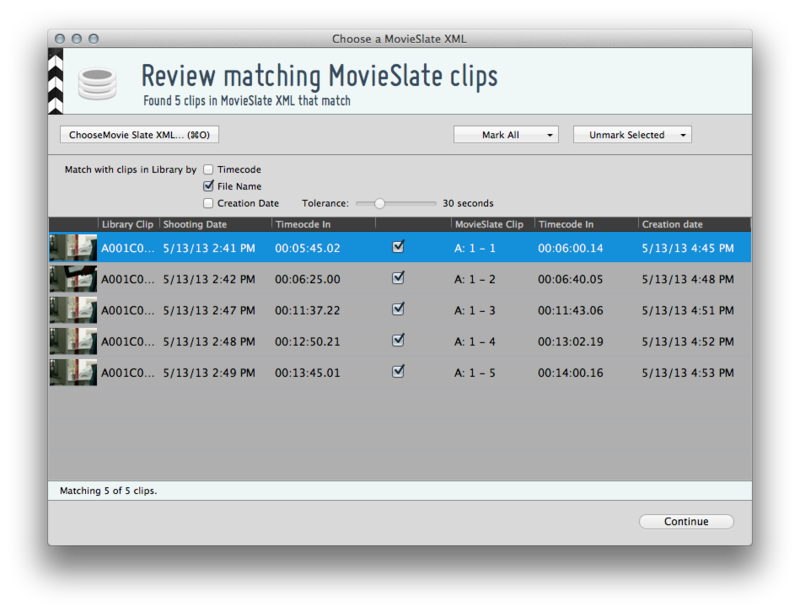 The metadata from the MovieSlate clips is now written to your assets. Note: If you choose “overwrite” all existing metadata in the selected fields will be overwritten. This cannot be undone!